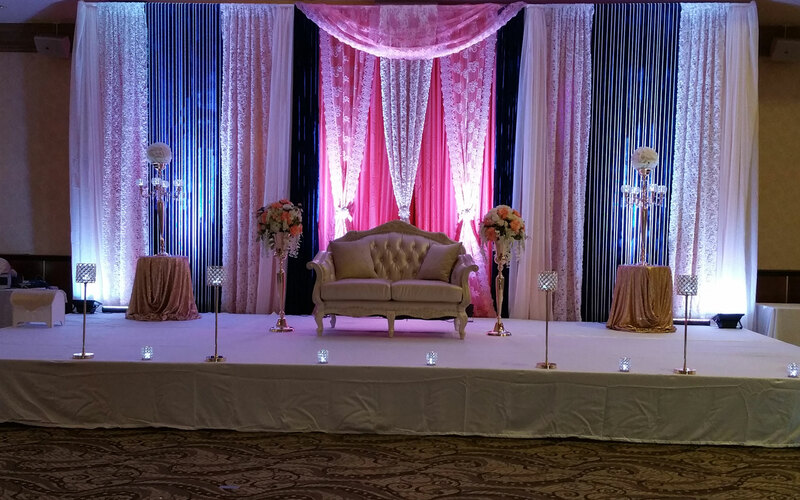 Whether you are planning to have an intimate wedding or an exorbitant one, Anusha Banquets will surely match your unique choice, budget, and requirements. With a capacity of accommodating up to 175 in seating and 1500 in floating, the venue has a cosy and comfortable interior for the guests. It also offers an in-house team of caterers that puts all the efforts to delight the guests with mouth watering multi-cuisine dishes. Anusha Banquets, Vikhroli, Mumbai offers extreme ease of accessibility and is located inside the popular Moksha Plaza Mall. The venue provides all event requirements in-house and also allows you to bring your own choice of caterer, decorator and entertainment. Anusha Banquets, Vikhroli, Mumbai offers extreme ease of accessibility and is located inside the popular Moksha Plaza Mall. The venue provides all event requirements in-house and also allows you to bring your own choice of caterer, decorator and entertainment. The banquet hall is spacious and ideal for large scale weddings while the terrace areas are more suited for smaller functions. Anusha Banquets provides the option of getting alcohol from outside and ensuring that your guests enjoy a well-stacked bar.